The World Cup is underway and the host country, Brazil (duh), has notched their first win, beating Croatia on the opening day of the 2014 FIFA World Cup. We've covered the drama over the stadiums, budgets, and protests. We've taken a look at the highest paid soccer players. But what about their coaches? How well (or not) paid are the World Cup Coaches this year? Not surprisingly, when it comes to the range of salaries of the coaches at the World Cup, there is a huge difference between those coaches near the top of the salary range and those at the bottom. The U.S. coach, Jurgen Klinsmann is bringing home $2.6 million for his efforts in coaching the American team, making him the 10th highest paid coach in the tournament. 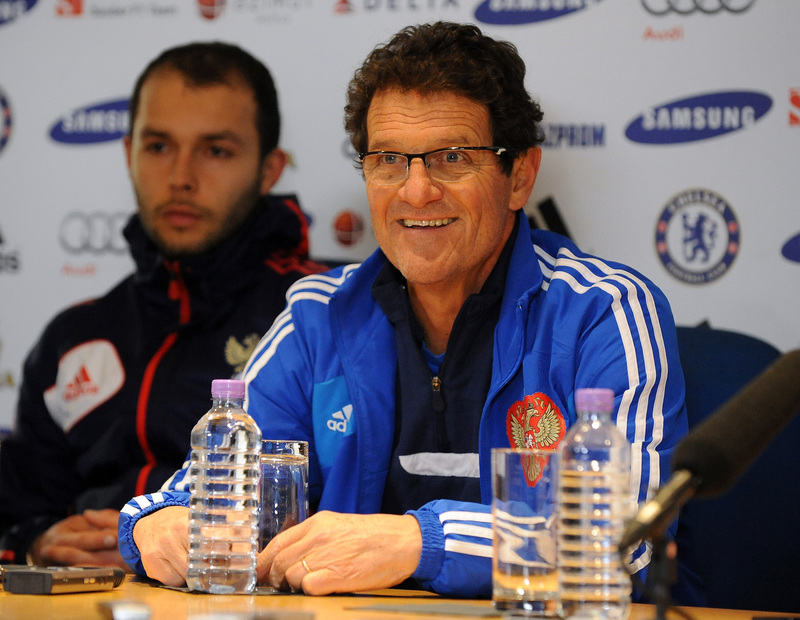 The highest paid coach, Fabio Capello, is making $11.2 million to coach the Russian team. The lowest paid coaches—those for Ghana and Mexico—are making $251K and $209K. Seven World Cup coaches are making more than $2 million dollars a year as they go after the biggest prize in the world's biggest sport. Interestingly, the coaches largely do not hail from the countries they are coaching. Eighteen of the 32 teams have coaches from their own country. Fourteen teams are in the hands of foreigners. The most common nationality of the World Cup coaches is German with natives of Deutschland coaching the U.S., Switzerland, Germany, and Cameroon. There are three Italian coaches overseeing Russia, Japan, and, of course, Italy. There are three Argentineans at the helm of Chile, Colombia, and Argentina; three Portuguese coaches for Iran, Greece, and Portugal; and finally three Colombians in charge of Costa Rica, Ecuador, and Honduras. The lowest paid coaches are all coaching the teams from their own countries. Those teams are Mexico, Ghana, Croatia, Bosnia, and Nigeria. The ratio of the coaches' salaries to the countries they are coaching is pretty staggering. Croatia's coach's salary is the closest to the average wages in that country. It is only 19 times more than the average Croatian earns. The coach of the team from the Ivory Coach is paid 795 times as much as the annual pay of $1,391. That's just $25.37 per week. The total amount of wages paid to the World Cup Coaches is $66.3 million. Of course, salaries mean different things in different countries. Here is a look at how much each coach makes compared to the average salary in that country via SportingIntelligence.com. While Russia's Fabio Capello is still near the top, making 763 times as much as the average Russian, that is actually second to Sabri Lamouchi, who makes 795 times as much as the average person in the Ivory Coast.